And so, where do Damsons fall on this sweeping spectrum of plums? With no disrespect to the regal Reine Claude (aka Green Gage), the Damson is an ancient fruit known to Pliny the Elder, and later lauded by Chaucer and Robert Boyle (among others)- by birthright I bequest top billing to the Damson. It is with this is mind that I present Damson Cheese and Damson Butter, two ways to harness the ancient magic of the damson, in which there is absolutely no dairy involved. Damson Cheese is a fruit paste (typically served with cheese) and Damson Butter is so named because it’s luscious and spreadable. This is a kill-two-birds-with-one-stone sort of recipe- the ingredients and technique for both recipes are the same, the only difference is the cooking time. With 4 lbs of fruit I yielded 1 pint of butter and a goodly size cheese. 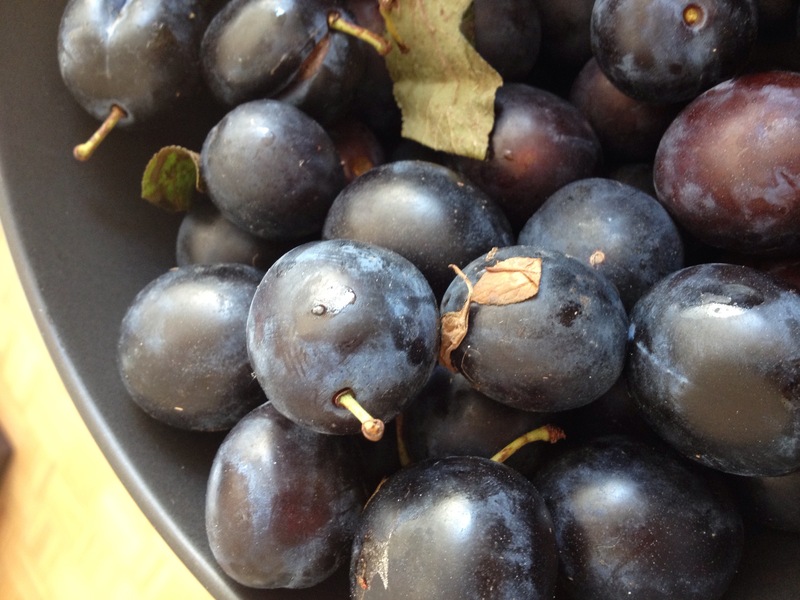 note: Damsons are easy to pit, just pull them apart with your fingers. 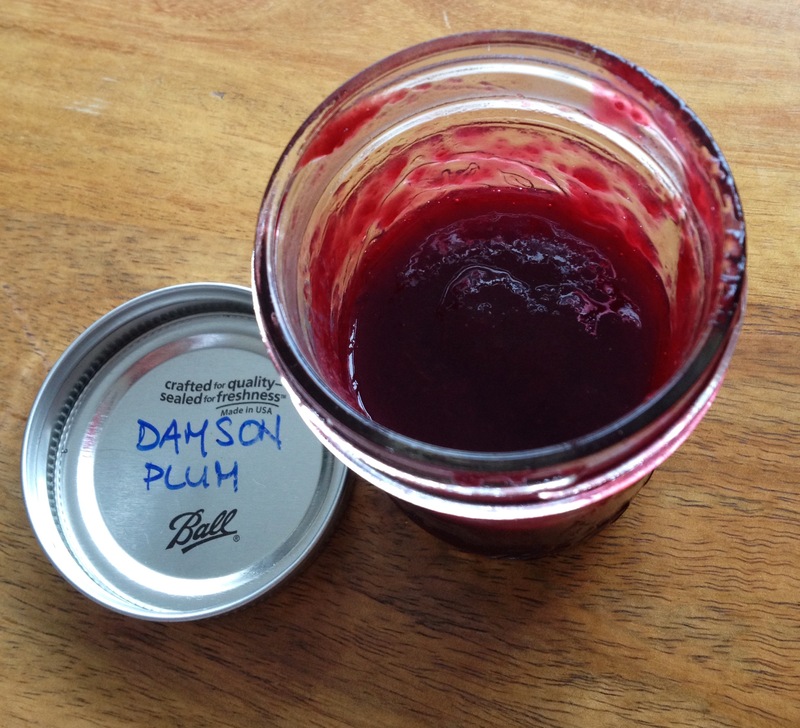 note 2: Because Damson skins are so pectin-laden, there is no need to test for gel set and certainly no need to add additional pectin. This will set up just fine. 1.Cook- put fruit, water, bay leaves and ginger in pan. Bring to boil then reduce heat and simmer 30 minutes. 2.Strain-Remove bay and ginger and run fruit through finest screen of food mill (or strain through tammis, etc). 3.Cook again-Transfer fruit back to clean pan, add sugar and lemon juice. For butter– Cook about 15 minutes, stirring occasionally. Mixture should be glossy and bright. The color will be a show-stopping magenta. Turn off heat, ladle desired amount into clean jar, leaving an inch of space at the top. Add in booze and stir. (I made a pint of butter and added 1/2 teaspoon of gin) This will keep for a few months, or you can process it in a water bath and store it for natural disasters, crop shortages, zombie apocalypses, etc. For cheese– Continue cooking until the mixture is stiff and mounds on a spoon, mine took about 40 minutes. The further the mixture is reduced, the more attention it will need- be prepared to stir constantly or it will burn. Turn off heat and add in booze. Traditionally fruit cheeses are poured into molds, left to sit for several days, then unmolded. In lieu of a proper mold, a loaf pan would work fabulously. This will last a good long time (years) without refrigeration. The Taste- the butter is bright and gorgeous, like a plum warmed in the sun. It would be fantastic with fresh cheeses, in a fruit tart or crostata, or as an an accompaniment to venison or a livery game bird, like grouse. The cheese is layered and nuanced, like old wine, and wet earth. It would make a great best friend to all kinds of cheeses, especially a nice farm house cheddar, or maybe a stinky old blue. Yum. The Process- the butter is a breeze. The cheese takes a bit of babysitting on the stove, and can be a bit stubborn to unmold. (I put my mold in simmering water, then ran a knife around the edge). 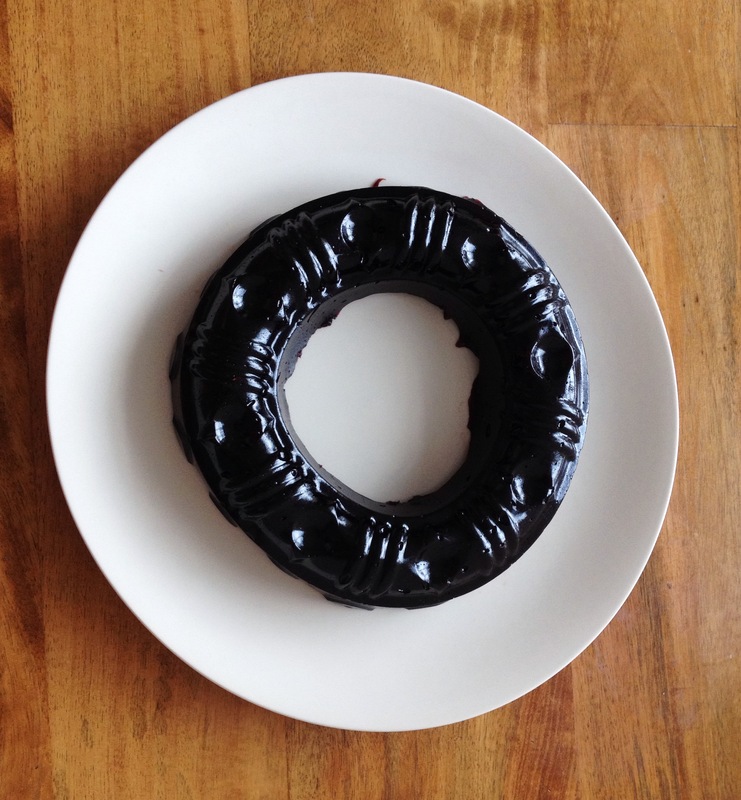 The Verdict- I will make this every year, as long as I can find some Damsons.